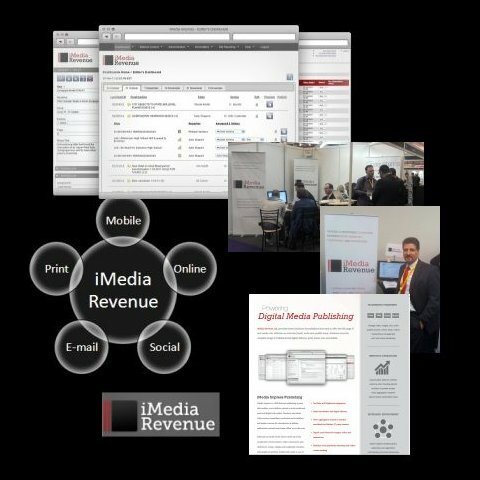 Founded in 2011, the mission of iMedia Revenue (Ireland) Ltd. is to help struggling news publishers reduce publishing costs while also capturing significant digital revenue streams. Our cloud-based SaaS systems support multi-channel publishing to web, mobile, email, tablet, and print, as well as a full range of digital advertising solutions, from online coupons to social media. As managing director I’m responsible for product management and marketing strategy: everything from branding and positioning to product design and features. Everyone here is a hands-on contributor; I wrote all the marketing copy, from web site to print collateral, social marketing blog and forum posts, trade show signage, sales proposals, and dozens of presentations and VC pitches. I also have to build the right product for the market: analyze market trends, customers, and competition, maintain a prioritized feature list, participate in pre-sales, account management, and partner alliances, and design the software user interface and information architecture.